Watanabe Wheels are one of the older manufacturer of JDM Wheels in Japan. 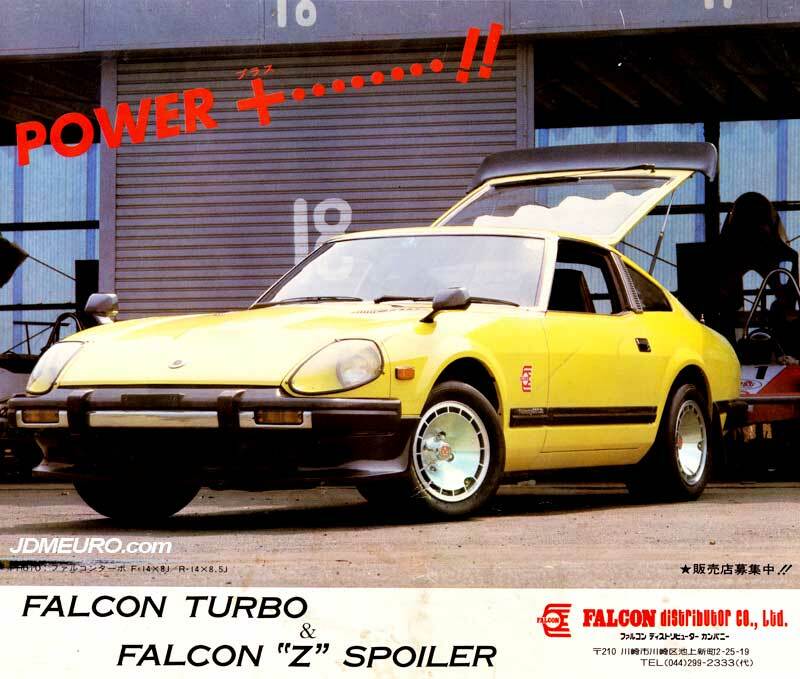 Most notable for their banana spoke type wheels, they also made the Watanabe Falcon Turbo Wheels back in the early 80’s as this ad was circa 1981. Also featured is the Falcon Z Spoiler on the S130 Nissan 280zx Turbo. The sizing of the Watanabe falcon Turbo Wheels are 14×8 front & 14×8.5 rear which is still decent over 30 years later!